I've been doing the ah exercise for a couple of weeks now, and I can't seem to get any further. My voice flicks and goes to falsetto. Are there any tip to go around this, or I just need to keep doing Ah exercise? Can you record a video sample of you singing basic 'Lah' scale? It would help us to tell you exactly where's the problem and what you can do to overcome it. It can be multiple things. I think the moderators will have better advice to you on this. But as I see it, there is a lack of support in the sound. You're not using the strength in the diaphragm to sing and manipulate the breath pressure that passes through the cords. Something that helped me with that was to think of my neck, throat and oral cavity as a simple tube through which the sound passes, whereas my diaphragm would be the engine. If you relax your throat completely, then the workload should fall automatically onto your diaphragm. Another way to think of your voice would be: to think of it like a saxophone. Your chest neck and throat would be the instrument and your diaphragm would be the player's mouth. A couple of weeks isn't very long at all for a male to have trouble getting above G4 in chest voice. You just need to gently stretch your chest voice for a considerable length of time, and the notes will come. I can hear your voice, and I can tell that you have more notes in you. You just haven't figured out yet, how to get to them. With practice, and stretching, your voice will grow. Not in a day. Not in a couple of weeks. More like in a few months, you will see some growth. In several months, you will see more growth, and so on. You DO need to increase your support and push down on your diaphragm as you reach for higher notes. Smile more brightly. You are covering your teeth with your lips, and that makes a darker sound that is harder to carry higher. Make your sound bright. 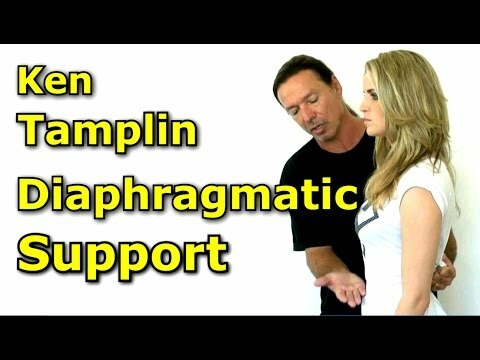 Is lah exercise alone enough to extend my chest voice?